We sat down with the innovative chef who is bringing NYC brunch culture to London's Southbank. Seamus Mullen, award-winning chef and author of Hero Food, was diagnosed with Rheumatoid Arthritis in 2007. After a total rehaul of his diet and lifestyle, he turned his health around and became a leading proponent of real food and real ingredients. We chatted to him following the recent launch of his much-hyped brunch menu at Sea Containers to find out where chefs really eat, his earliest memories of London, and his adventures on two wheels. I grew up in Vermont, on a small organic farm. I now live in Dumbo, Brooklyn. You were diagnosed with Rheumatoid Arthritis in 2007. You famously overhauled your lifestyle and your diet to make a full recovery. What does a typical day of eating now look like for you? I generally don’t have breakfast, or I might just have “Bulletproof Coffee” which is brewed coffee blended with MCT Oil (a derivative of coconut oil) and grass fed, unsalted butter. Sometimes I’ll have a heartier breakfast if I’m scheduled to do a hard workout. You also do intermittent fasting or IF. How does it work? Intermittent fasting is about giving the digestive tract a break from over working and tapping into our white-fat reserves that we all carry around as a source of caloric intake. Basically, there is a lot of evidence to suggest that humans didn’t evolve to eat three square meals a day, but rather we ate when there was an abundance of food, and we fasted and adjusted our activity levels when food was scarce. Our Palaeolithic ancestors ate mostly foraged roots, vegetables, fruits and hunted meats. Those low-glycemic foods had minimal impact on their blood sugar. As we became much more dependent upon cultivated crops and grain-based carbohydrates, we began to change the way we ate. The result, thousands of years later, is that we are much more prone to blood sugar fluctuation and much less resistant to hunger. The idea behind IF is to eat during windows of the day, generally going a minimum of 8 hours without food, but that can go up to 48 hours or more without food. The hardest thing for most people to deal with when it comes to IF is the immediate hunger. That is generally because we have become very carbohydrate and sugar dependent in our diets. When you become more “fat adaptive”, which is to say deriving the majority of your caloric intake from protein, vegetables and good fats (like avocado, pastured meat and poultry, wild seafood, coconut, chia seeds), your metabolism changes and you have much less fluctuation in your blood glucose levels. This makes it much easier to go longer periods of time without eating. 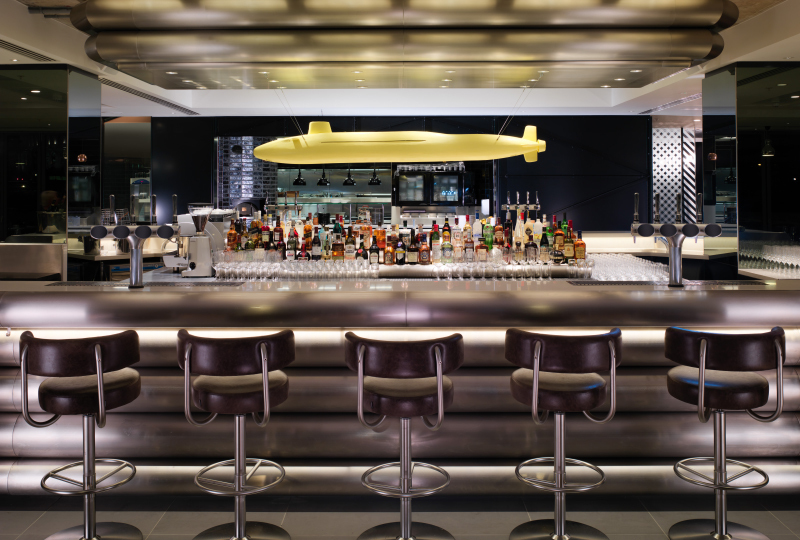 Sea Containers is your first restaurant outside of the US. Do you find that it differs a lot from your restaurants stateside? Are there any ingredients you love to work with here that you may not have in New York? Sea Containers is indeed my first restaurant outside of New York. In many ways the two cities are quite alike. Diners are sophisticated, curious and generally willing to explore. We share a great many ingredients, but some are slightly different in the UK than in the US. For example, we too have samphire (or sea beans as we call them in New York), but the stuff we get from English sea shore is impeccable. As is the Sea Purslane (something I had never tried before.) The salt-marsh lamb is exquisite and English Mackerel is far more flavourful than the mackerel we can get in the US. You’ve been coming to London since you were little. What does the city mean to you? Do you have any favourite quintessentially London spots?My grandmother was English and we came often to London when I was younger. I think walking down Portobello Road or going to see the Changing of the Guard are all things that remind me of my earliest memories in London. As a cyclist, I LOVE escaping to Richmond Park and riding amongst the stags. There is something incredible about seeing a massive herd of stags and being able to see the Gherkin, the Shard and the Walkie Talkie all in the background! I’ve also done some terrific rides in Surrey and I’ve been dying to do some riding in Wales. Have you had any new London insider discoveries on recent trips? When I’m in town, I generally don’t have much of a chance to get out and explore as much as I’d like to. But I really do like checking out Shoreditch and exploring East London, there’s a great, young energy and tons of cool little spots to eat and drink. I always end up grabbing a traditional Japanese breakfast at Koya Bar in Soho every time I’m in town. It’s such a terrific, old world spot. 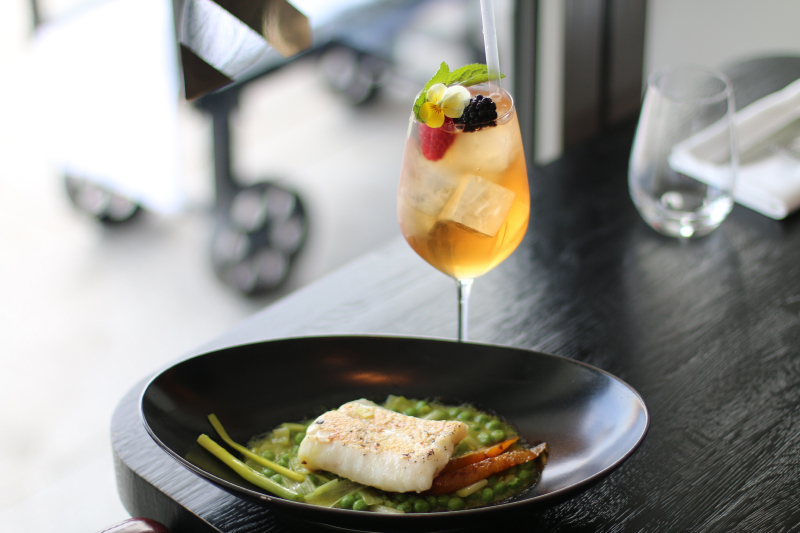 Sea Containers has now been open for six months and there are some exciting seasonal changes happening in the kitchen. You launched the brunch menu and cooked up some fresh new dishes for Spring. Can you tell us about these? We are getting into Spring and soon it will be Summer! This means tons of fresh local produce from wild garlic, to asparagus and peas. So many great things to cook with that are vibrant and delicious. The brunch menu is about celebrating the most relaxed meal of the week, something that we in New York are very, very good at. 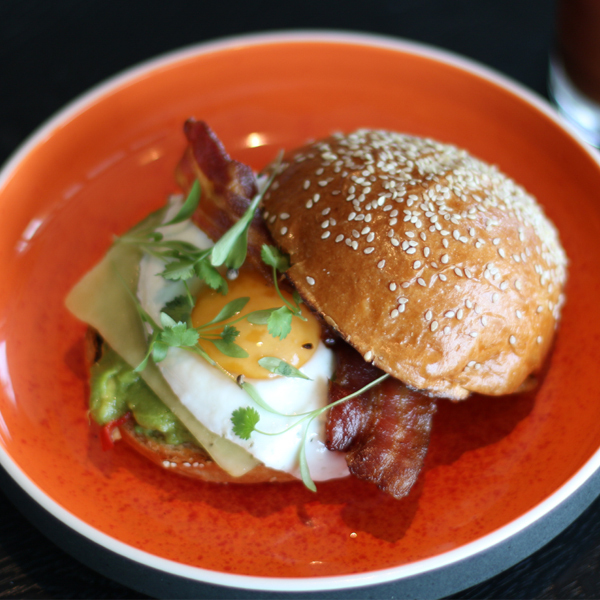 Our brunch menu at Sea Containers has a great variety of egg dishes as well as some sweeter brunchy fare and salads and sandwiches. Do you think we in London can embrace brunch like NYC has? I think so. There are already quite a few places, like Chiltern Firehouse, that are making brunch in the UK a reality. I think that nothing will ever replace the Sunday Roast for the English, but the idea of gathering and eating and drinking all day with friends and family is something that will be quite well received in London. Congratulations on the opening of the second outpost of El Colmado, EC Butchery, in NYC’s meatpacking district. You’re a busy man! How do you manage your time- any organisational tips? What do you do to relax or switch off? Delegate! I have a terrific team and I trust them to do their jobs with passion and professionalism. I’m a big advocate of collaborative work so I look to my colleagues and chefs for their input and collectively we work towards solutions. You raced in La Ruta de Los Conquistadores in Costa Rica which is one of the most challenging mountain bike races in the world. How long did you train for that? What was the most challenging part? I trained for pretty much a whole year. I was quite disciplined about my training up until that last two months....when we opened Sea Containers! It’s hard to spend 10-15 hours a week on the bike when you’re opening a restaurant. That made it a bit tough, but we managed to get through the race. It was far and away the hardest thing I’ve ever had to do on a bicycle. The first day (there are three days in the race) was the hardest, it seemed to never end. At one point we crossed about 25 rivers in the jungle and had to carry our bikes for 10km! The riding wasn’t as challenging as other places I’ve ridden, but it was unrelenting. The climbs went on forever and the climate changes throughout the day were dramatic. So, where’s your next holiday? My next holiday is a 7 day bike tour in the Costa Brava in Spain. I’ll be leading a group of cyclists on a food and cycling adventure. I cook a few meals and teach a cooking class and we ride every day, visiting markets and wineries. It’s pretty tough ;). Do you have a mantra or a favourite quote?